Subject: Famous camping spot and the last sight of the Snake River for the westbound emigrants. The last camp on the weary journey across the Snake River plains. 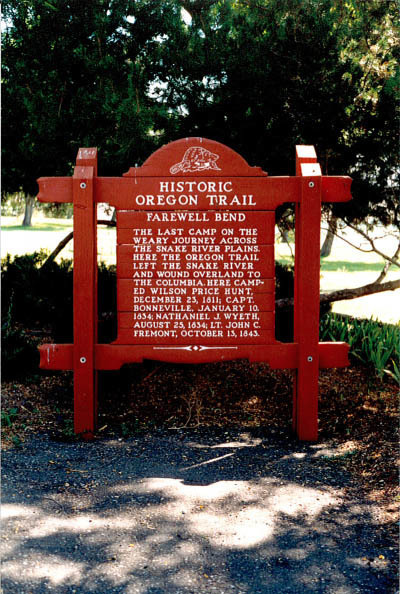 Here the Oregon Trail left the Snake River and wound overland to the Columbia. Here, camped Wilson Price Hunt, December 23, 1811; Capt. 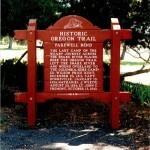 Bonneville, January 10, 1834; Nathaniel J. Wyeth, August 25, 1834; John C. Fremont, October 13, 1843.